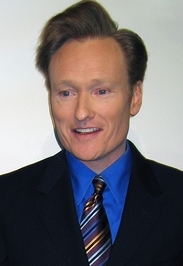 Conan Christopher O'Brien is an Emmy Award-winning American television host and TV writer, best known as host of NBC's Late Night with Conan O'Brien. Is this you? Let us know. If not, help out and invite Conan to Goodreads.